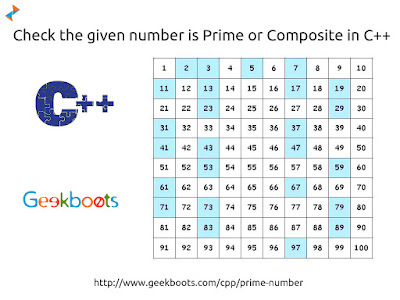 A prime number is a natural number, which is greater than 1 that has no positive divisors other than 1 and itself. The natural number, which is greater than 1 that is not a prime number is called a composite number. Check the given number is Prime or Composite in C++ with the help of 'endl' manipulator and Boolean.